Abdelkader Zaaf got famous for his drunk performance during the Tour de France. Since it’s the last week of the Tour de France it’s time for some cycling stories containing alcohol. Many media broadcasted a lot on drugs in cycling, but for a long time alcohol was the only real performance booster in the peloton. The earliest, most heroic Tours were won with the help of wine and beer. Therefor it’s time for the most amazing alcohol related stories in cycling. Peter Sagan (23) nowadays is considered to be one of the big names in the peloton. With 2nd places in the classic rides Milano-San Remo and the Tour of Flanders (both 2013) he just missed the highest stand on the podium. Well not last winter, when he crushed the competition at the island of Curacao. The Amstel Curacao Race (only 80 km long) there is just an excuse for the peloton to have a holiday in the Carribean. 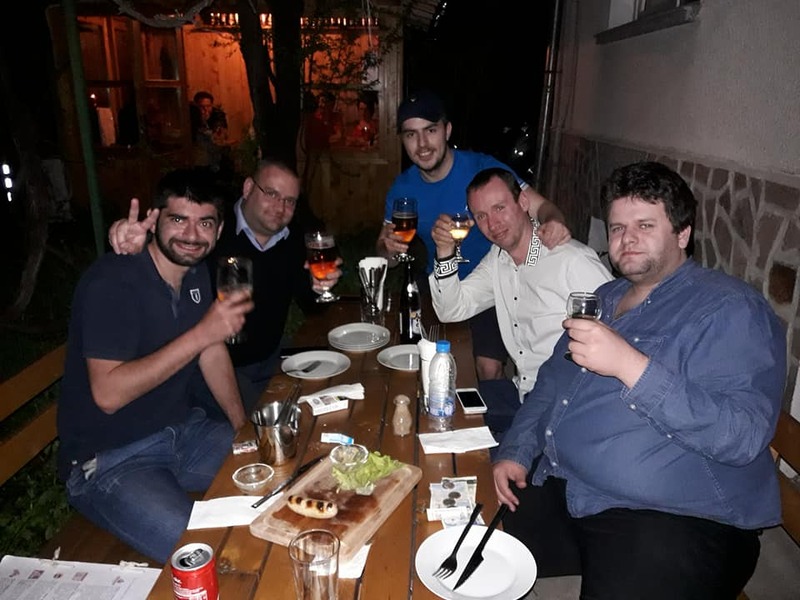 Traditionally a drinking contest between the riders is part of the program. The then only 22-year old Slovakian outdrunk all of his colleagues and set his supremacy as biggest drinker of the peloton. Add this to the fact that he has a reputation of pinching the behinds of the misses on the podium and other clownish behavior and you’ll understand why he is the party animal in modern cycling. Another cyclist aspiring that title is Englishman Bradley Wiggins. Winner of the Tour de France 2012, as well as 4 Olympic gold medals. 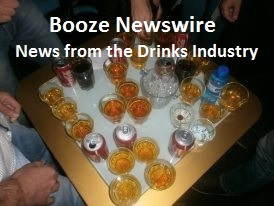 He is the son of track cyclist and known alcoholic Gary Wiggins, who died in 2008. The saying ‘like father, like son’ is really at his place here since Wiggins Junior soon showed his skills in both cycling and drinking. After winning 3 medals in the Olympic Games of Athens 2004 he drowned himself in liquor. Each day he started drinking pints of beer at the pub at 11 am. In the evening he switched to wine bottles at home. Wiggo showed the same pattern after other successes, but never totally lost it. After his Olympic gold medal in London 2012 he once again got absolutely hammered for several days, good lad! The most famous drunk in the Tour de France is without a doubt the Algerian Abdelkader Zaaf. In 1950 he escaped from the bunch in the burning heat of 40 degrees Celsius. In these conditions he couldn’t stop drinking. Now the story about what happened next isn’t completely clear. Some say he stopped to drink a bottle of wine, followed by a second one. Others say he just grabbed every kind of liquid the spectators alongside the road offered him. The result however was that Zaaf (a Muslim and not very used to alcohol) started to zigzag, until he decided to take a nap under a tree on the side of the road. Some spectators woke him up and he continued his way – unfortunately in the wrong direction. When spectators could explain him he was going the wrong way, he wanted to turn around. Too bad for the Algerian he was taken to the hospital for inspection. The legend says he escaped from there the next day and showed up for the next stage, however the Tour-direction wouldn’t let him start again. What is certain is that Zaaf was instantly a celebrity and was asked to ride plenty of criteriums (friendly races) for cold hard cash. Who says being drunk doesn’t pay off?! When Bjarne Riis started as a teammanager of the CSC-team he introduced survival camps at the start of the season. Besides all the physical torture he put his cyclists through there is one interesting part. Each year the new riders in the team had to do a drinking contest. Like in the year 2006 when Fabian Cancellara, Volodymir Gustov, Kasper Kloostergaard, Inigo Cuesta, Martin Pedersen, Karsten Kroon and Stuart O’Grady. It became a ‘clash of the titans’ between the last two. O’Grady as an Australian had a certain reputation to live up to, since in the peloton they are notorious for their drinking. However, Kroon proved that he didn’t lose the skills from his student years in Holland either. By decision of the judges O’Grady was declared the winner, after which the cyclists went on to drink more at a Tiroler party. Now that’s what we call a proper preparation for the new season. No wonder Riis’ men performed well year after year. 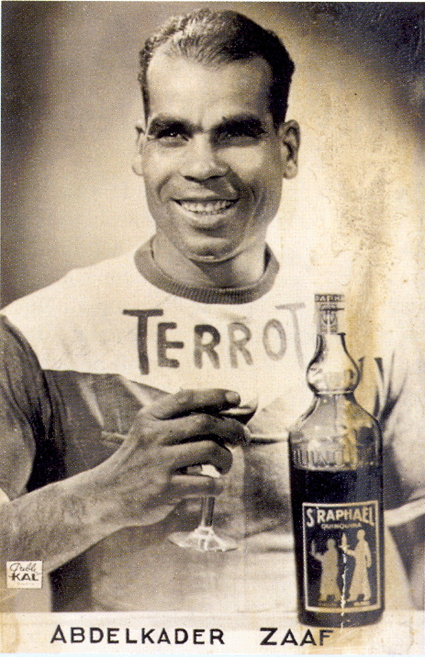 One of the greatest champions in cycling was also a heavy drinker. Jaques Anquetil won the Tour de France five times between 1957 and 1964 but still the Frenchman was far from obsessed by cycling. Therefor he loved life too much. His main passions were drinking and women, where riding a bike was just something he was really good at. The best story dates from1964 when Anquetil was supposed to start in the GP Rasoir Philips, a semi-classic race of more than 230 kilometers. However when he arrived the day before he couldn’t get to an agreement with the organisation about his starting fee. So he called off the race and went partying with his friends, drinking whisky and champagne till the morning. After only half an hour of sleep the organisation of the GP Rasoir Philip knocked on the door of his hotelroom to bring him the amount of money he asked for and get him to start the race. Anquetil got to the start looking like a hobo, unshaved and without taking a shower. The peloton – familiar with his dangerous riding style after drinking – gave the champion a head start, so he wouldn’t cause any falls.